Quirky Jessi: Snuggie Sightings -- Run for your life! Snuggie Sightings -- Run for your life! Back in October, I posted a quick little stab at The Snuggie blanket, comparing it to something that cult members might wear. Little did I know that in a couple days, I'd rank first in Google searches for various snuggie search terms. Within a matter of a week or two, I was getting thousands of hits from people looking for snuggies. That led me to edit the post a few times with updated info for people looking for the main site, but I never did say anything else about the snuggie itself. Lots of others shared there opinions, though, and turns out, Snuggies were making most of their money on shipping additional slanket-like blanket/robes and were hard to get in touch with, prompting people to find the head company's snail mail address even. All that aside, though, I still find them hilarious, and I'm not alone on that. Now there's a whole site for Snuggies pictures called "Snuggie Sightings," haha! Here's just a few pictures but go over there to see a ton of pictures and even some videos from different Snuggie perspectives. Who knew it'd be so fun? halarious!! When i first saw the commercial i literally laughed out loud...now they are laughing alllll the way to the bank!!!! Oh LOL! 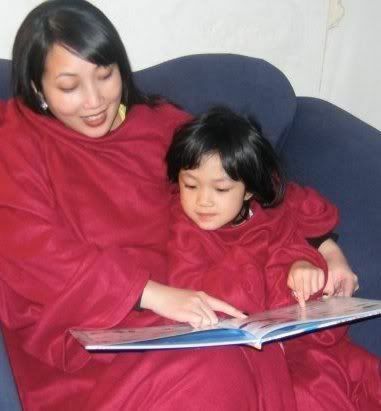 This is LEGIT the second blog right in a row that I have read about the snuggie! It's the senastion that is sweeping the nation! Lol, yeah, I couldn't help but laugh the first time I saw the commercials! I don't understand the draw to the snuggie...I would get all tangled in it for sure! I thought they were a joke at first, too! I'm sorry, I really don't have that much trouble keeping my blanket on my when I'm on the couch. If you have an IQ over 40, you can handle it. Heres another funny post about Snuggie and how the people in the infomercials look like creeps! the two best infomercial products ever have to the Snuggie and the Shamwow... i wonder if it's possible to combine the two, and make a single, super-absorbent robe? I went to one of the snuggie pub crawls in chicago and I actually saw a few guys wearing snuggies made out of shamwows. Seems coffee isn't the first person to think about this idea. 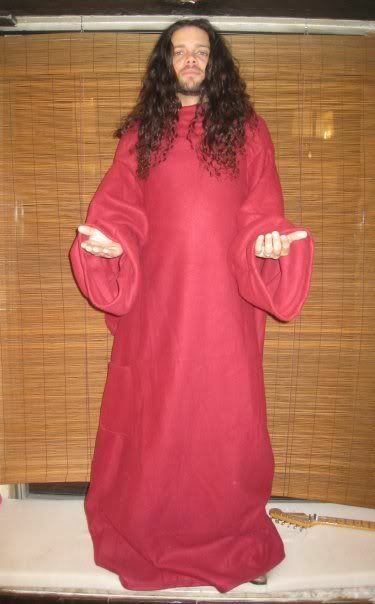 The male in the picture is a prime example of the excellence installed in members of the Snuggie Cult. Expand your journey.